Aspect is the technical and facilitation lead for the $82 Million Icicle Strategy effort, which is designed to improve instream flows, assist in agricultural sustainability, and provide for local domestic growth beyond the year 2050 in the Icicle Creek Subbasin in North Central Washington. Aspect serves the Icicle Working Group that consists of members including Chelan County, City of Leavenworth, Icicle-Peshastin Irrigation District, Leavenworth National Fish Hatchery, Colville Confederated Tribes and the Washington State Department of Ecology among others. Our work has included facilitating Working Group sessions, technical evaluation of water resources across the subbasin, and field assessment of seven alpine dams. The last two years focused on leading the writing, review, and public presentation of the Programmatic Environmental Impact Statement (PEIS). 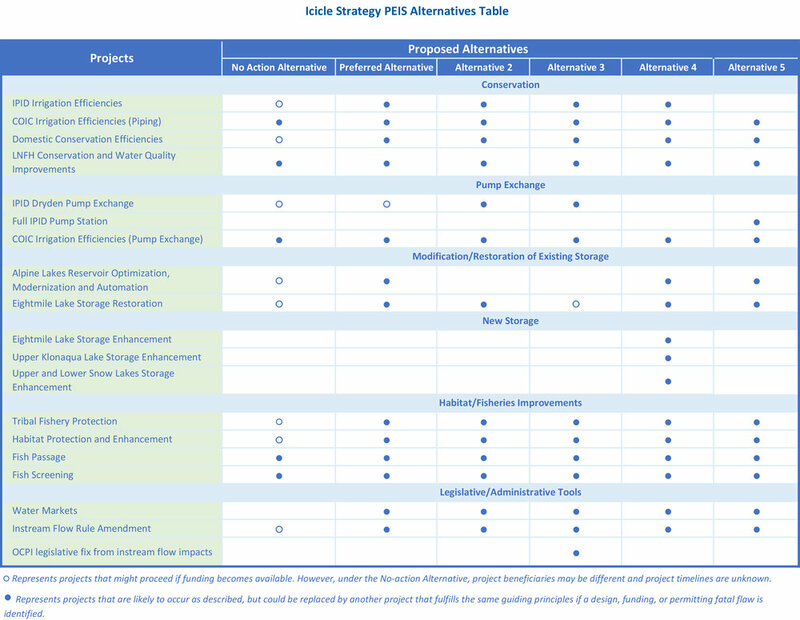 The final PEIS, released in January 2019, describe a suite of recommendations including creek modifications for improved fish passage; residential conservation projects in the Leavenworth area; automating dam releases; restoring Eightmile Lake to historical and permitted high water storage elevation; and Leavenworth hatchery infrastructure upgrades.